Art Laboe is a California DJ who’s crooned to lovers on the airwaves for more than 75 years. He's 93, and claims to have invented the on-air dedication, where lovers send songs to each other over the airwaves. Some of those lovers are separated by prison. Host Sasha Khokha visited Art in his Palm Springs studio. When you think of aphrodisiacs, you probably think of sappy love songs, oysters, or fine wine. Not swimming in freezing cold water. But for one California couple, the soggy depths of San Francisco Bay have helped stoke their romance. And they’ve even invented special calls to keep track of each other in the open water. 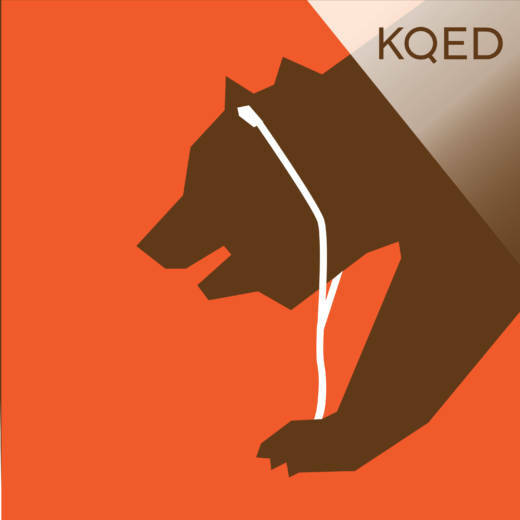 KQED's Chloe Veltman brings us their story. Amita Swadhin and Patricio Manuel might seem like an unexpected pairing. Patricio is a pro boxer, and Amita works to stop violence. But their love story transcends these differences, and they both support and find strength in one another: Patricio, as the first trans man to fight and win a professional boxing match, and Amita, as a sexual violence survivor and vocal advocate for the LGBTQ community. They talk with Sasha Khokha about falling in love, how they help each other fight against the patriarchy (without fighting each other), and share relationship advice.